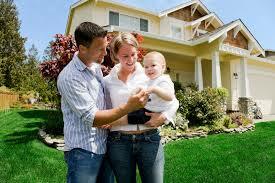 Selling your home to a family member is easier than going on the open market. However, there are certain factors that can put you in a tough position. That being said, it’s important to handle these sales by removing the emotional component and dealing with it in a business-like manner. One of the first steps that you should take is to document the entire sale to ensure that both of you are acknowledging the sale and its’ taking place. It also creates a sense of transparency during the entire transaction and removes all the open-ended questions. For example, document the price at what you are selling it for but include everything that’s going to be within the house – appliances, furniture, etc. The last thing that you want is to leave out an important detail only to have it turn into a large problem later. You’re going to want to hire a realtor to help you with the documents that you filled out. They’ll typically guide you through the rest of the process. Because the both of you have already worked out a price, you should find a realtor that works for a flat fee to avoid overages. If you’re not planning to finance your family member’s mortgage be sure to disclose that he or she will have to obtain a new mortgage to pay for the house. This allows you to have peace of mind that your family member can pay for the property while you focus on financing your new home.